TOKYO, May 19, 2017 - (JCN Newswire) - Mitsubishi Motors Corporation (MMC) announced today that cumulative engine production reached five million units at Shenyang Aerospace Mitsubishi Motors Engine Manufacturing Co., Ltd. (SAME), MMC's engine joint-venture in Shenyang, China. SAME was established in August 1997 and started production in 1998. Supplying engines to Mitsubishi Motors brand as well as several Chinese automakers in the expanding auto market in China, cumulative production at the company reached three million units in 2014 and four million units in 2016. MMC President, CEO Osamu Masuko attended the commemoration ceremony and stated: "Mitsubishi Motors is very proud of achieving this milestone, having produced five million engines, at China's leading engine supplier, Shenyang Aerospace Mitsubishi Motors Engine Manufacturing Co., Ltd. (SAME). This represents a 25% increase from last year and demonstrates the strong growth in the passenger car segment. 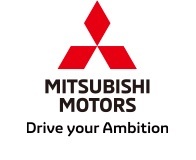 That gives us great confidence in the future of SAME, and Mitsubishi Motors is excited to be able to contribute to the continued development of the Chinese automotive industry." SAME started production of the 4A9 engine in June 2009. Used to power small cars, this low displacement and lightweight unit incorporates MMC's eco-friendly MIVEC (Mitsubishi Innovative Valve Timing Electronic Control) variable valve timing mechanism. SAME sold 750,000 units of engines in 2016. SAME also have launched the production of 4K2 series as the successor to the 4G6 engine, expanding its business to support the market demands with high-quality products in timely manner. SAME is currently focusing on strengthening its product lineup and improving environmental performance in order to meet the diversifying needs of the Chinese market as it continues to contribute to the growth and development of the Chinese auto industry. Outline of Shenyang Aerospace Mitsubishi Motors Engine Manufacturing Co., Ltd.